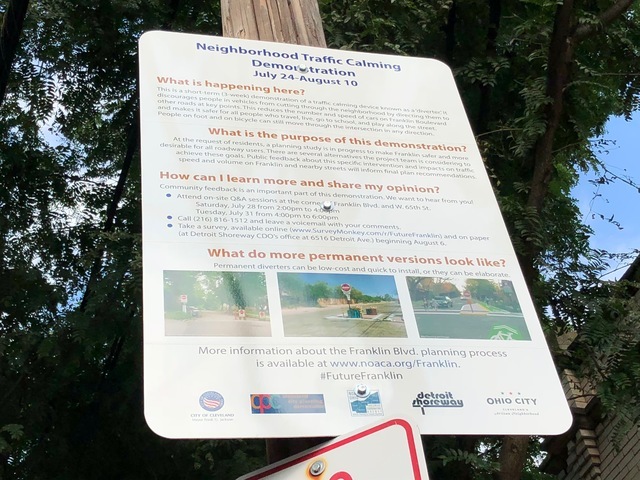 With results that show the majority of people asked strongly disapproved of the Franklin Boulevard Traffic Calming Study, it seems like some of the only positive feedback came from people who live along Franklin. "Traffic really went down a lot, almost immediately," said Franklin resident Angie Schmitt. City workers install new traffic signs telling drivers the diverters will prevent a left turn on to Franklin. She's lived on the street for nearly a decade and has been in the middle of a battle to decrease the speed on Franklin for a while. "My couch is probably just 30 feet away from the street and we have traffic going by at 45 miles per hour," said Schmitt. "It's very loud." The posted speed limit on Franklin is 35 miles per hour and efforts by Schmitt and her neighbors to decrease the speed limit have so far been unsuccessful. A sign installed at Franklin and W 54th Street explains the study and why the diverters were put in place. 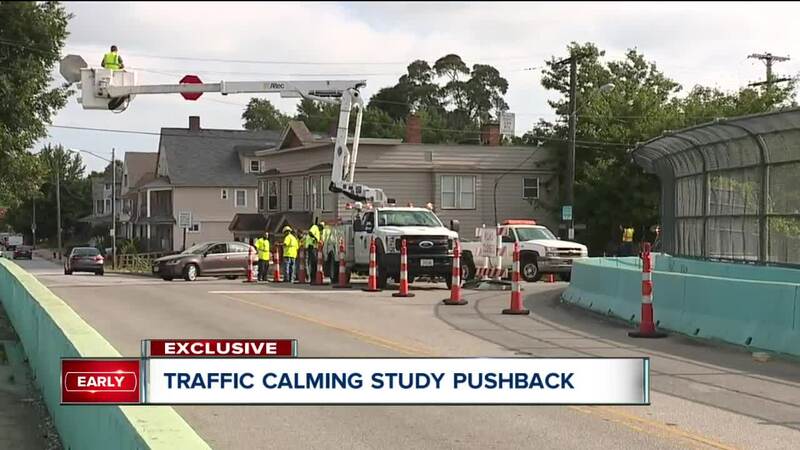 When the City of Cleveland installed traffic diverters this summer, the intent was to push that traffic off Franklin and on to nearby roadways that are better designed to handle more traffic. Instead, the city's results show some drivers drove into on-coming traffic to get around the diverters. When cars did turn on to other streets, observers noticed increased traffic on other residential streets instead of going all the way to arterial roads like Detroit Avenue, Lorain Avenue, or a highway. 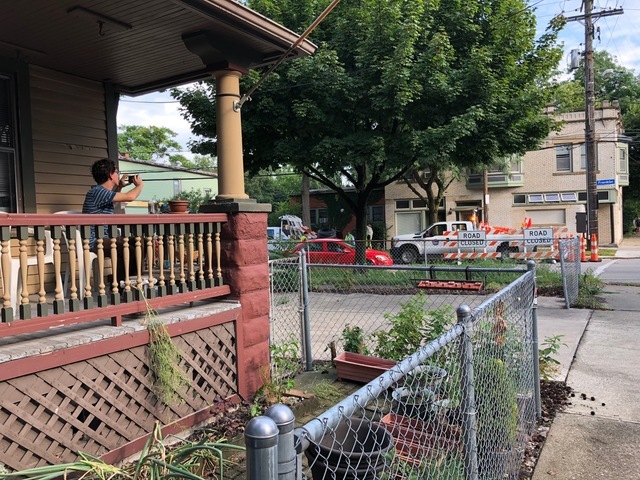 A resident near Franklin and 54th Street watches as city workers install the traffic diverters. "Cars just went every which way through the neighborhood and it was sort of unpredictable," said Schmitt. See the full results here . 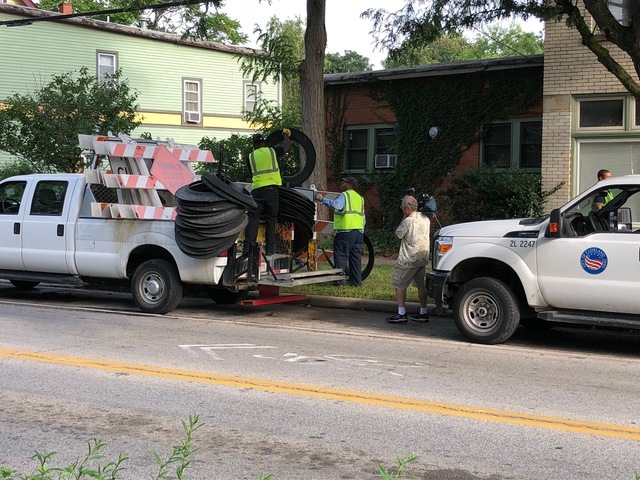 Through feedback at Q & A sessions, a phone line, and through survey participation, 75 percent of the more than 500 respondents said they were "not at all" interested in a traffic diverter at West 54th Street and Franklin Boulevard. 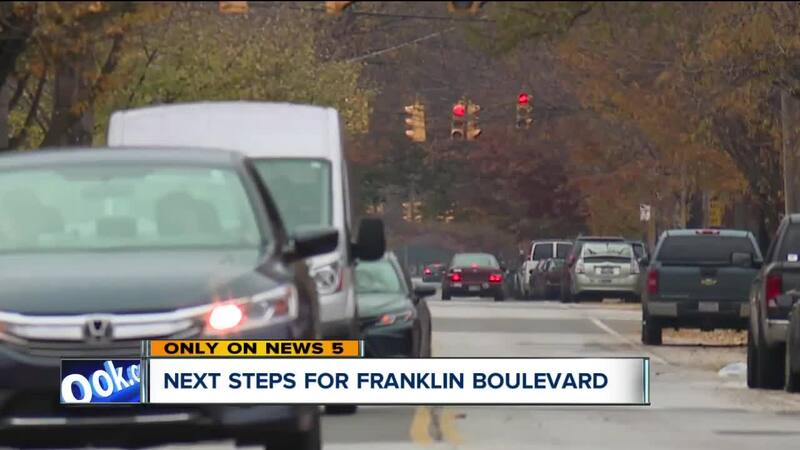 74 percent felt the same way about diverters at 65th and Franklin, and 69 percent were not interested in diverters at Franklin and 85th Street, according to the city's results. 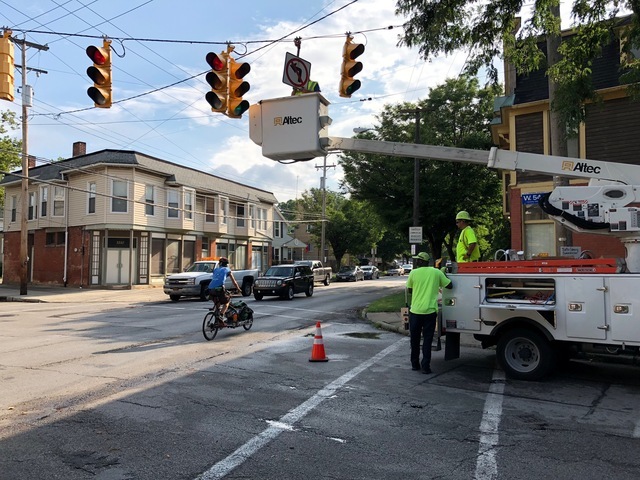 Workers install temporary traffic diverters to see how they'd impact traffic volume and speed along Franklin Boulevard. As a result, the city says it won't recommend traffic diverters be part of any final attempt to calm the traffic along Franklin. The city is presenting their results at a public meeting on Tuesday, Nov. 13, 2018, from 5:30 p.m. to 7:00 p.m at 6415 West Clinton Ave—at Bethany Presbyterian Church. The Northeast Ohio Areawide Coordinating Agency (NOACA) is presenting its recommendations for how Franklin could also be improved. Check back later today for our information about NOACA's recommendations.